This weekend the Levy County Sheriff's Office will be particpating in the National Memorial Holiday "Click It or Ticket" campaign for traffic safety. Extra patrols will be out this weekend in an effort to ensure compliance with state traffic laws and be on the alert for impaired driving . 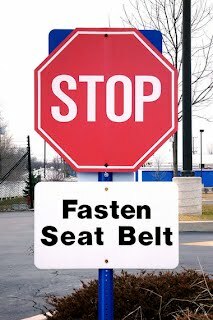 Remember to wear your seat belt and always use a designated driver. Effective this date, the Levy County Sheriff's Office takes great pride in promoting Deputy Willie Pete Barnes, to the rank of Corporal in the Patrol Division. This decision was based on his distinguished service to our office and his unwavering commitment to excellence in the field of law enforcement. We look forward to great things from him in his career at the Levy County Sheriff's Office. Corporal Barnes began his career in the United States Military and served our Army with honor for 13 years. He then dedicated 16 years to the Florida Department of Corrections before transferring to the Levy County Sheriff's Office as a patrol deputy in July of 2000. Since his assignment in the patrol division, Corporal Barnes has excelled in all facets of Law Enforcement. Corporal Barnes currently is assigned as a K-9 officer within the Patrol Division. Major Evan Sullivan stated, "with his drive and determination; his dedication to Law Enforcement and the citizens of Levy County, Corporal Barnes is an example for all to follow." The second suspect from the home invasion robbery reported to Levy County Deputies on 5-10-12 has been arrested. Patrick Shawn McLaughlin 9-13-66 was tracked down last night in Columbia County. He was arrested for the outstanding warrant issued by a Levy County Judge from the information submitted by LCSO Deputy Matt King. McLaughlin thought he could pull stakes and move to avoid capture for his crimes. He was wrong. The long arm of the law and always-vigilant law officers of Florida are watching. 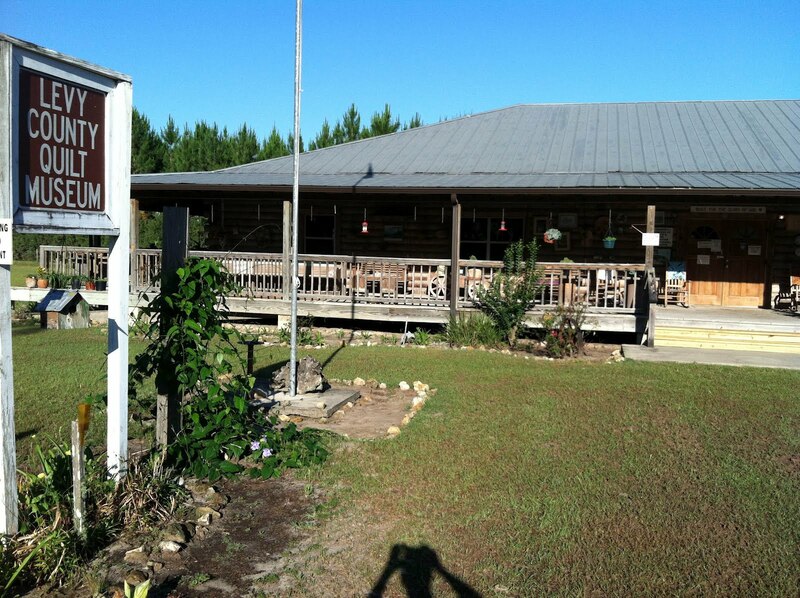 Deputies from Columbia County and Levy County located McLaughlin as he was trying to enjoy a quiet dinner at the Barnyard Junction Restaurant located at 7629 Hwy 27 in Fort White. Dinner interrupted and breakfast guaranteed courtesy of Columbia County Detention Facility. Williams was the owner of the home located at 3711 NE 212 Court in Williston, Fl where Levy County Deputies executed a search warrant on the evening of May 4, 2012. Narcotics and money were seized that evening and multiple suspects were arrested. This is a prime example of the hard work the Deputies of Levy County are doing in efforts to stem the sale of narcotics on OUR streets. Works like these will continue and the drug dealers need to take warning. Even though Williams ran that evening, he did not evade capture. The Levy County Sheriff's Office (LCSO) is proud to announce its' new partnership with the Levy County Quilt Museum. Recently the newly formed Board of Directors for the Quilt Museum began conversation with LCSO and has agreed to begin the new partnership in conjunction with LCSO's community outreach program. The Board of Directors of the Quilt Museum has agreed to donate space in the museum to the Deputies of LCSO. The new office space will allow LCSO Deputies faster access to their area's of responsibility without having to drive to Bronson to complete tasks such as; report submissions, copying documents for active investigations, victim interviews or making phone calls for their cases. This location will provide a "base" of operation for the Deputies. In return LCSO Deputies will provide additional security for the Quilt Museum. Major Sullivan says "this will be community policing at its' finest" and "is honored to be partnered with the Levy County Quilt Museum." The Quilt Museum will be hosting an Open House announcing the new partnership on Saturday May 19, 2012 from 10 a.m. to 3 p.m. Live Bluegrass music will be played to entertain the guests and finger food will be available. They will also be having a yard sale of items donated by supporters, with proceeds benefiting the Museum. The Quilt Museum was the dream of Miss Winnelle Horne. She began construction of the museum she called her home in 1991. Construction was completed in 1998. Her passion for this art will be on display Saturday. Miss Winnelle passed on to be with our Lord on January 30, 2012. 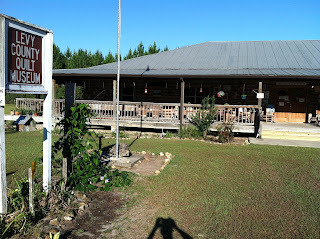 Please come and join us this Saturday at the Museum located at 11050 NW 10th Ave in Chiefland, Fl 32626. The Museum directors can be reached a 352-493-2801. On 5-10-12 at 2330 hours the Levy County Sheriff's Office responded to 10331 NE 86 Street in Bronson to a reported Home Invasion Robbery. A husband and wife reported to Deputies that they were home alone in their bedroom when two men known to them, entered their home uninvited. Patrick Shawn McLaughlin 9/13/66 and Aaron Michael Miller 8/23/80 came to collect on money McLaughlin claimed he was owed by the wife. The husband told Deputies he attempted to get out of bed to retrieve his wallet and was pushed down by McLaughlin. A fight between the husband and McLaughlin started and was broken up by the wife who was demanding they leave or she would call the Police. McLaughlin grabbed the wife by the neck and took both cell phones she was holding. During this exchange between McLaughlin and the husband and wife, Aaron Michael Miller took the wallet from the husband and exited the home, jumping into the get away vehicle. McLaughlin exited the home as well and both men fled the scene. Dep. Matt King located Aaron Michael Miller a short time later at 25 Forest Lane in Bronson and arrested him. Miller was booked into the Levy County Jail charged with Home Invasion Robbery and depriving a victim of 911. 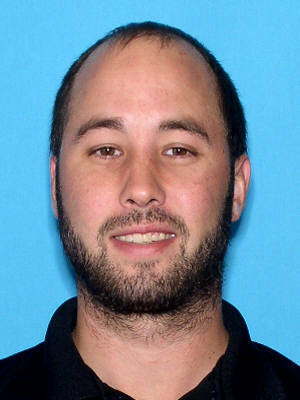 McLaughlin had fled the area and currently being sought by Levy County authorities. Friday, April 4, 2012 shortly after 10PM the Levy County Sheriff's Office Drug Task Force & Criminal Investigation Division executed a drug search warrant at 3711 NE 212th Court Williston. This is the second drug raid in two days and a total of 21 people have been arrested a deputies have filed thirty-five (35) felony charges & eighteen (18) misdemeanor charges. The Friday night raid netted 9 arrest with drugs, loaded gun, money and drug paraphernalia being seized at the Williston home. The residence is a known drug haven, gambling house and reported prostitution ring. The investigation continues and more arrests are expected. Major Evan Sullivan stated "I'm very proud of our team and this bust is a direct result of all their work. 1925 SE 42nd Apt G.
The Levy County Road Department has announced that repairs to CR 347 west of CR 345 will be open today at 6:00 p.m. All repairs will be completed at this time and through traffic in both directions will be available to the motorists. Levy County Road Department Administrative Superintendent Bruce Greenlee reports that no "voids" were found, as this incident was first suspected to have been caused by a sinkhole. Road crews determined that substandard materials were the cause of the damage discovered to the highway. Greenlee asks that motorist proceed with caution. The recent repairs have caused "soft shoulders" to the road adjacent to where repairs were made. Flashing message boards on CR 345 will notify the public of the road re-opening. On May 3, 2012, Levy County Sheriff's Office School Resource Deputy Grant Sandlin received information that Williston Elementary Custodian, Dennis W. Solowski possibly had guns in his vehicle. Dep. Sandlin verified that Solowski was currently on duty and his vehicle was parked in the school campus parking lot. Dep. Sandlin located Solowski and interviewed him. Solowski verified that he did have guns in his vehicle. A search of the vehicle by Dep. Sandlin discovered an AR-15 style rifle and a 30-30 lever action rifle in the trunk. In addition to the rifles, a semi-automatic handgun was found under the front seat of the vehicle. The Levy County School Board requires all employees to review and sign policy prior to employment. Levy County School Board has a "ZERO" tolerance for weapons on their school campuses. Solowski admitted to Dep. Sandlin he knew he was not allowed to have weapons on school campus. Dep. Sandlin arrested Solowski and he was transported to the Levy County Jail. The Levy County Sheriff's Office and the Levy County School Board will continue to work hand-in-hand to ensure the safety of "OUR" children while at our schools. For two-and-a-half years, Chief Steven Dixon and his small-town Inglis Police Department have been plagued by the blatant criminal activity they knew was happening in an isolated mobile home on Cypress Lane by a canal in the Levy County riverside town. Month after month, Dixon's police officers and Levy County Sheriff's Office Drug Task Force agents conducted surveillance, gathered intelligence, spoke with confidential sources, sought out physical evidence and steadily built their case against these thugs. They suspected that an unknown quantity of stolen property was being traded at the trailer for pills and methamphetamine. As the Inglis Police Department got closer to shutting down what they knew to be a hub of meth cooking, dealing in stolen property and illegal sale of prescription pills and other drugs, they realized they needed more resources to make it all work. Partnering with the Levy County and Citrus County Sheriff's Offices, a search warrant was served at noon today at 21 Cypress Lane where nine suspects were located. Detectives, deputies and police carefully examined the scene, while crime scene technicians systematically processed the packed premises. The Levy and Citrus Sheriff's Offices also share a keen stake in the Cypress Lane address. Citrus detectives have identified and arrested many of the more than 90 individuals from their own county known to have ties to the clandestine Inglis location. During the daytime drug raid, authorities arrested 12 people, plus confiscated methamphetamine and drug paraphernalia to include scales, filters, spoons, needles, etc. As a result of the investigation into the Levy County drug house, Citrus County deputies developed leads that a residence in Crystal River also may have stolen property. They responded to the residence on N. Pennsylvania Avenue and recovered a stolen Honda generator, boat motor and surround-sound system. The Levy County operation was deemed a success, with a total of 12 people arrested at kingpin Marian Walker's residence. Major Evan Sullivan, Sheriff Jeff Dawsy and Chief Steve Dixon all agreed they are very proud of the men and women involved in this major investigation and that the operation was executed flawlessly. The citizens of Inglis, Levy and Citrus counties should certainly feel safer knowing that true bad guys are off the streets. Marian Walker - 06/12/1956 – Arrested by Inglis PD and Citrus County Sheriff's Office for possession of drug paraphernalia and methamphetamine. Lee "Snake" Arnold - 06/13/1973 - Arrested for trafficking in methamphetamine, manufacturing methamphetamine and habitual driving while license suspended. Vince Baker - 05/22/1971 - Arrested for possession of methamphetamine and manufacturing of methamphetamine. Samuel Garrett - 03/17/1984 - Arrested for trafficking in methamphetamine and manufacturing methamphetamine. Donald Knowlton, Jr. - 07/12/1977 - Arrested for trafficking in stolen property. Eric Elson - 05/27/1972 - Arrested for possession of a controlled substance, grand theft and driving while license suspended. Jerry McKay - 01/11/1982 - Arrested for possession and manufacturing of methamphetamine. Michelle McKay - 09/23/1986 – Arrested on a warrant. Derick Short - 06/02/1969 - Arrested for possession of a controlled substance, possession of methamphetamine, fleeing & attempting to elude a police officer, resisting arrest without violence and driving while license suspended or revoked. Helen Mae "Mae-Mae" Hall - 08/15/1987 - Arrested for controlled substance and possession of drug paraphernalia. Linsey Cowles - 07/16/1981 - Arrested on a warrant for violation of probation grand theft. Tammy Spears - 06/17/1986 – Arrested on a warrant for violation of probation grand theft and possession of unlawful chemicals. Wayne Drake - 06/22/1966 – Arrested for aggravated battery and grand theft. Jenna Foster - 11/04/1988 – Arrested for possession and manufacturing of methamphetamine and unlawful use of chemicals. Hollie Montague - 08/04/1983 – Arrested for possession of drug paraphernalia. Jannette Aleksandrovic-12/14/1975- Arrested for trafficking in methamphetamine, possession of unlawful chemicals and possession of drug paraphernalia. Troy Michael Gervais - 07/01/1971- Arrested for possession of drug paraphernalia, DUI and felony violation of probation. Barbara Brewster- 09/21/1963 – Arrested for petit theft. Jamie Jacobson - 04/02/1982 – Arrested for grand theft and trafficking in stolen property. Gary Stine-11/19/1976- Arrested for sell/manufacture/deliver a controlled substance, resisting without violence and possession of drug paraphernalia. Jennifer Douglas-08/24/1985 – Arrested for possession/trafficking with intent to distribute methamphetamine and drug paraphernalia. Stephanie Wilder - 06/16/1975 – Arrested for driving while license suspended or revoked (habitual). Michele Adams - 04/18/1973 – Arrested for petit theft. Christopher Martinez - 05/18/1992 – Arrested for petit theft and possession of drug paraphernalia. Heather Waybright - 12/28/1983 – Arrested for driving while license suspended or revoked. William Roddenberry - 02/13/1967 – Arrested for driving while license suspended or revoked (habitual) and aggravated fleeing & attempting to elude a police officer. Christopher Wood - 05/28/1981- Arrested for possession/trafficking with intent to distribute methamphetamine and drug paraphernalia. Rex Townsend - 05/06/1956 – Arrested on environmental charges/untreated human waste.